May 30 News | Jobs in Audio, Film, Radio. our NEW Connected Hangout takes place every Monday! Bringing you the best jobs in music, film, and broadcasting! Don’t miss out on opportunity. Sign up for next week’s Connected Hangout now! ‘What is a Grind Opp?,’ you ask? It is a job opportunity. A help wanted ad. 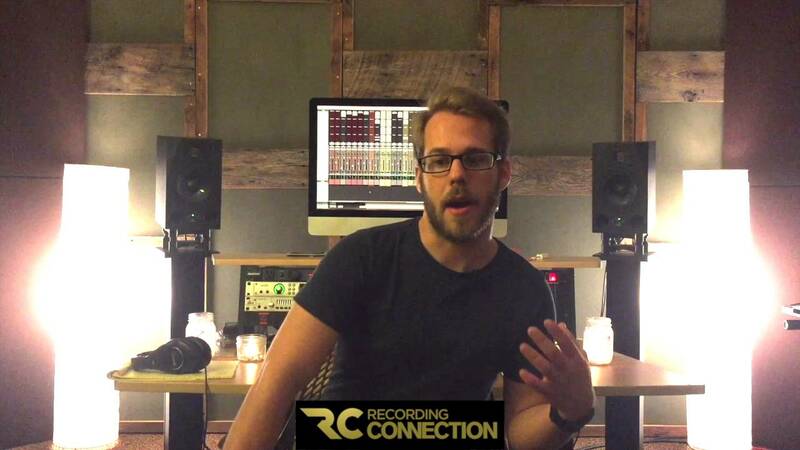 Taking Opportunities: Recording Connection grad James Kyle Dickey leverages connections and lands job! Finding success in the music business is often a combination of connections, hands-on experience and a healthy dose of confidence. Recording Connection grad James Kyle Dickey (Denver, CO) is wasting no time putting these three elements to work in building his career. When we caught up with him recently, James had landed a gig doing live audio for Kinnon Entertainment—a job that resulted in part from connections he made in the field after apprenticing at Colorado Sound Studios in Denver, CO. Like so many, James’s first entry into music was as a musician, starting as a bass player for a now-defunct pop-punk band in Denver, and then as a vocalist. Making his way into audio engineering, he found the Recording Connection online and decided to enroll. After completing the basic program with mentor Ryan Conway of Conway Sound, he decided to continue into the master’s program at Colorado Sound, where he was paired with veteran engineer Jesse O’Brien (Norah Jones, The Lumineers). “I was definitely impressed with the way he was working,” says James of his mentor. “I could just tell, like the way Jesse, he’s so relaxed and able to express his credentials without seeming like he’s cocky or whatever. He’s just really laid back, and really cool guy, really understanding…It really seemed like they really knew what they were doing, and obviously, I’m with it. Just like the client list on Colorado Sound website, you know, they’re working with some of the biggest names in the industry right now.” With the advanced program, most of the training is hands-on practice in the studio, and James says Jesse went the extra mile to give him the opportunities he needed. “Jesse was actually really cool about letting me sit in on sessions with clients, and I was able to help out,” he says. “I’d mic the entire drum kit. I’d help him set up the board. I’d patch stuff. He was just really cool about letting me come in on his kind of lower profile clients and just giving me kind of free range, helping him set up everything and then tear down everything. So just being on the sessions really got me a lot of experience.” The training didn’t just happen on sessions, either. “Every time we were in there, he’d just pull back one of his old mixes and he help me work on it and do some really cool stuff,” says James. “He’s got all the really awesome old vintage gear, and then mixed with a lot of the new digital stuff, so it was a really big opportunity to get my hands on that stuff. So Jesse was just really cool about creating opportunities where I would be hands-on…because that’s how I learn.” James says he’s also learned a lot about the art of engineering, rather than just the technical side of things. “What’s really cool about Jesse is he’ll sit there and tell me, ‘This is the typical way to do it,’ kind of like the rule of thumb, like whether it’s mic’ing an acoustic guitar or using this certain mic…something like that. And then he’ll be like, ‘This is how you break that rule,’ which is so cool because it’s art, so there’s no set rules. I mean, obviously, you want to make sure everything’s in sync, you want to make sure things are sounding good, you want to make sure you’re not clipping, but…it’s still art.” Since completing the program, James has continued to work with Colorado Sound as a contractor. He says the learning has continued, not just with his mentor, but with the other engineers in the studio—so much so, he says, that he keeps a notepad with him. It’s obvious when talking to Film Connection mentor Sean McCarthy that when it comes to film, it’s all the way or not at all. Hailing from the San Francisco Bay Area, Sean’s production company Guerilla Wanderers has garnered multiple awards for quality filming and innovative special effects in music videos, short films, commercials, web series and more. Sean is also quite passionate about nurturing new talent and loves to see his students turn into long-term collaborators. He is currently involving several of his Film Connection students in the ongoing production of a web series he co-created with producer Elizabeth Mitchell called Doucheaholics. “It’s a great training ground,” he says. “They get to get their hands wet, and we get to put them in different positions on the web series.” In a recent conversation with RRFC, Sean talked about his personal passion for film and how he looks for that shared passion in his students. He also gave us a glimpse into his teaching approach and how he aims to shape his students for the long term. Some of the best nuggets from that conversation have been mined below. Enjoy! ON HOW HE GOT INTO FILMMAKING AS A CAREER: “I never saw anything else other than making films as a kid. I studied film non-stop. At first, you always imagine…you’ve seen these actors on screen and you’re living through them, so you don’t realize the behind the scenes, the vision behind the world they’re building, is the crew, and the writers, and the director, and producers. You don’t realize all these other things that are making this world happen, you’re just inhabiting that world with Dustin Hoffman or Harrison Ford. When I came to that realization that, ‘Oh, wow, this is exciting. This is new,’ I switched from just wanting to act to writing and directing. And then by the nature of that, too, I had the opportunity to do a lot of TV production in high school, and I made a feature film and 80 short films before I graduated high school. And then I applied that to working when I was at a video store. I interned for companies, and I worked for other directors. I worked in every single position on set, and I just kept developing my own work and finding my voice as I went along. And just eventually you just feel like it’s something that you always have known to do.” ON THE IMPORTANCE OF BRINGING PASSION TO EVERY PROJECT: “I made a joke to another director that I feel like I’m approaching every project like Taxi Driver. Every project, you’re doing with this sense of, ‘We’re going to make something great’… I don’t know any other approach than just to do it with full on passion, and just by the nature of what I do as a director. And the great team I have with all these talented people in all these different departments, something comes from that too, that there’s a certain aesthetic that they like to do.” Watch Moving Out, music video for Cassandra Farrar & the Left Brains. And get a firsthand look at what goes on behind the scenes: Moving Out: Beyond the Frames. ON WHY HE CHOOSES TO BE A MENTOR TO STUDENTS: When I first started, it was hard to find mentors that were willing to take their time with me, so I made a big note to myself, to my future self, that if I was ever in the position where I can give any kind of opportunity and if I can pay it forward, that I would do that. So that’s why created the internship mentoring program even before [going] with the Film Connection, and we had a lot of success with it. And now we integrate that into training future students, too. ON WHAT HE LOOKS FOR IN AN APPRENTICE: “When I meet with potential people in the mentoring program, I usually go, ‘Well, all right, is this a person that I want to be around for a long period of time?’…The other question I ask myself is, ‘Are they worth the time, for not just me but for themselves?’ Like the way people could eventually become collaborators of mine, or they go off and become peers, and working at different companies, or starting their own companies. I look to see if I see that fire in their eyes for actually wanting to do this as a profession. I would hate to mentor anybody that I don’t see that for them in their future…I usually have a pretty good feel of students, who really, this is meant for them, because it is a very unique industry, and it is a very unique way of life.” HIS APPROACH TO MENTORING STUDENTS: “The only way you’re going to see if people are really willing to learn, and able to learn, and deal with the situation, is to push them off a cliff and see if they’re going to fly, and see if they’re going to take to it. Because the people that do…I think it’s the privilege that I feel as I get to see people thrive under that circumstance, and I get to see people move up…As a mentor, you’re in a coach position, too. I’ll guide them, and if I see that they rise to certain occasions, you give them more opportunities. It’s a cool thing that you’re able to see, if you can give them opportunities, and to see if they fly with it. And if they do take off with it, I think it’s one of the great pleasures to see people really take to something. I’ve seen people on set say, ‘Wow, this is the life for me.’ That’s one of the cool things to know that you helped somebody find their passion, or find their dream. ON THE JOYS OF WATCHING STUDENTS BECOME COLLABORATORS BY TEACHING THEM ON THE JOB: “One of the things I love is teaching, but as a working professional, I don’t have the time to go to schools [and] teach. I’ve gone and guest lectured for a day; that’s my commitment is that one class to come and talk to. But when I get to pair that with students where I’m working on a real-time project, then they become a collaborator, they become a teammate that I cannot just mentor, but I can be hand-in-hand with, because those opportunities only happen when you’re in the middle of it…I think on set, theory and actually putting it into practice is like being on set and going, ‘All right, we’re filming in a crack house. They didn’t teach you this part in film school. How do you protect $150,000 worth of gear, and get the shot, and get out of here as fast as humanly possible?’… “In our apprenticeship mentoring program, we put people in positions to learn. You start observing, and then you start participating. Based on what they put into it, they grow more. Some of the people behind the scenes like Dustin Strocchia (director, lead editor) and Kevin Loader (lead VFX artist, cinematographer), they’re two of my key collaborators, and they started in the mentoring program that we do. And now they’re just key creative partners of mine who I work with on a daily basis…It’s a great thing to see your team, too, part of your teammates came from starting early with no experience or limited experience. And then being able to see them thrive, and the opportunity that they’ve been given, and they’re able to proceed forward, they grow. Then you rely on them to pull off something crazy.” ON HOW HE NEVER STOPS LEARNING AS A FILMMAKER: I feel like even though I mentor a lot of students [and] I have the privilege of being able to pass knowledge forward and also send the elevator down, I always feel, myself, like an eternal student. There’s always that passion to figure out new stuff. I think that directors that I really like and the artists I really like have that same approach, because the moment you think you know it all is the moment you stop learning. And I think that’s why I even approach projects with that thing of like, ‘Well, I’ve never done this before, so let me figure this out.’ That’s always a fun thing to approach…I always feel like each project is…as you’re creating a project, it’s also a learning tool until the next project.” Doucheaholics, the comedic web series worked on by several of Sean’s apprentices, premieres at Dances with Films, June 10th at the historic Chinese Theatre in Hollywood!